MyBayCity.com Bay City Mall Introduces "Back To School Walk-A-Thon" August 10th. Bay City Mall Introduces "Back To School Walk-A-Thon" August 10th. 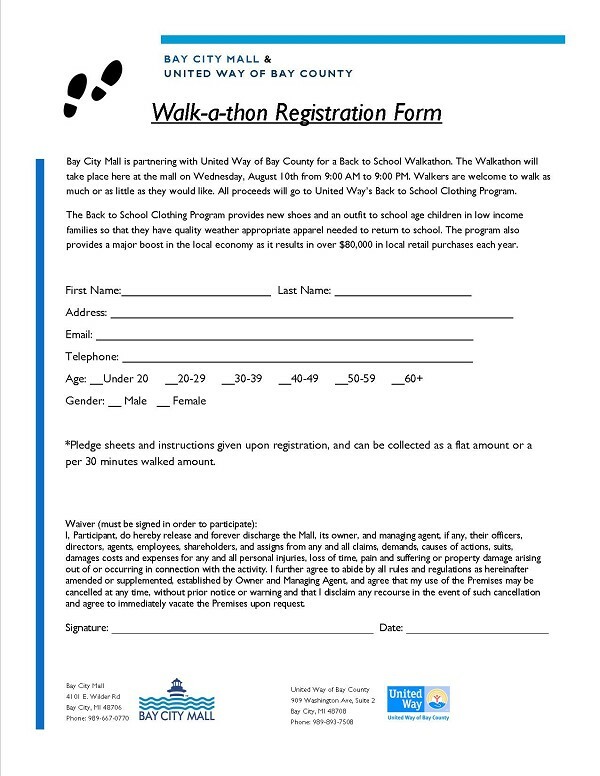 The Bay City Mall is partnering with United Way of Bay County for a Back to School Walkathon. The Walkathon will take place here at the mall on Wednesday, August 10th from 9:00 AM to 9:00 PM. Walkers are welcome to walk as much or as little as they would like. All proceeds will go to United Way's Back to School Clothing Program. The Back to School Clothing Program provides new shoes and an outfit to school age children in low-income families so that they have quality weather appropriate apparel needed to return to school. The program also provides a major boost in the local economy as it results in over $80,000 in local retail purchases each year.